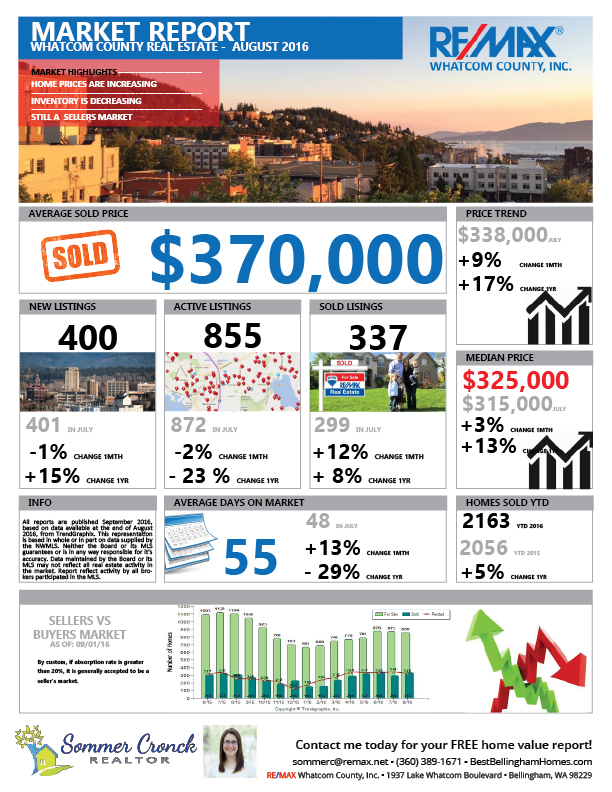 While the average time on market for homes was up, so was the average sold price of homes across Whatcom County in August 2016. The market is still strongly in favor of sellers throughout the county. Below are links to August 2016 market reports for the region. Contact me if you would like a free valuation of your home or have any real estate questions.